Something that you will hear all the time from those who write and talk about sound equipment and recording is that one of the most important pieces of your study, if not more important, is your monitors. The only thing that could be more important than you studio monitors is the room itself and it’s acoustic, so yes, your studio monitors are probably the best piece in which you can spend your money and time, so make sure to take the right decision when it comes to them. 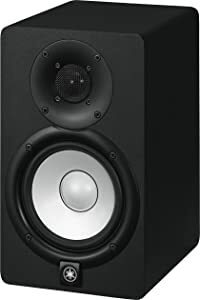 Therefore, your monitors are going to be important enough to your studio regardless of its size, and they can cover your recording needs while a set of cool bookshelf speakers or a center channel speaker would be more reliable for personal entertainment. To help you get the most of your recording equipment, without chopping off your budget, here we offer you a guide on how to choose the best studio monitors under 200 and present some options that are certainly worthy of your recording room. Based on what we stated before, here are the 5 best studio monitors under 200$ we could find out there to narrow down your search. With a nice looking design, these 4” monitors offer a nice sound performance which fits both your recreational and recording/mixing needs. They count with a wide range of frequency lasting from 80Hz to 20Khz while presenting a nice set of knobs to adjust the volume, power and turn off switch. To fill your entertainment needs, these count with a frontal port for you to plug your smartphone or any other device in which you want to play your music. About its usability, front panel controls make the Mackie CR4 really easy to manage without having to completely stop the recording session. They come with a good set of adjustment features which includes a speaker placement switch, count with Bluetooth connectivity and includes a lot of cords and accessories dedicated to the set. Comes with all cords and accessories. Can switch on/off in the frontal volume control. No screen protector for the tracks. May generate static in the sound with the time. They represent an overall excellent offer as they turn out having a great sound output quality for a really low price. For lower frequency sounds it is recommended to add a subwoofer thought. Dedicated to improving its low-frequency output and presented in a modern all-black design, the PreSonus Eris E4.5 counts with a 4.5” Kevlar and 1” mass silk dome frequency transducers to manage the low and high frequencies with the finest quality possible. The set is composed by two sides’ 25W class AB amps and counts with acoustic tuning controls for midrange, high frequency, and high pass. About their usability, they count with a response output between 70 Hz – 20 kHz and acoustic space settings which make them a good option for mixing. The RF interference output current limiting and other protective features ensure that they will last for a long time while keeping the sound really clean. Mix oriented technology and features. Nice low and high-frequency quality. Acoustic settings to adapt their output to the room. Have to max out to get some good power. The amps create a small hum and static upon switching on, but this fades away in a minute or so. They are overall a good option for a low budget, especially if you are looking for something to create your own mixes or DJ gig out as you can adapt their acoustic to different environments. 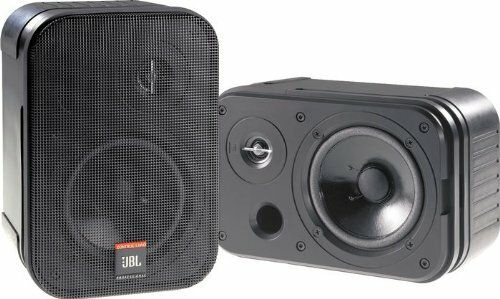 This set comes with a pair of 150W Pro quality monitors that counts with a nice sound output. Its main characteristic is the variable angle wall brackets included that enable multiple angles to the monitors, allowing you to adapt them to any space easily. About its usability, this set counts with pro drivers and high-quality crossover that ensure a faithful and transparent sound output, making it a good option for mid-range mixes. They also count with SonicGuard HF overload protection to avoid electrical noise and magnetically shielded transducers that protect the sound from any interference produced when near monitor or ear TV applications. Even when this set is not dedicated fully to recording/mixing, it turns out to be ideal for a home recording room as a hobby. Their price is quite accessible and they offer a nice quality and the possibility of use in other performances such as a desktop speaker. Nice performance for mid-range mixes. Reduces electrostatic interference from other devices. Not a really a professional device for recording. Requires Amps as they are not self-amplified. With 2 colors Black and White, you will have more option for your room. Especially, with a high power, this model will be best choice for party at home. Presented with an awesome looking design proper of the brand and in black or white options, this fashionable set is a piece of high-quality that surely deserves a look. This set counts with 2-Way bass-reflex bi-amplified nearfield studio monitors composed with 5″ cone woofer and 1″ dome tweeter that will enhance the sound quality and performance. About its usability, they have a response range between 54Hz and 30kHz, they excel in low frequencies thanks to their woofers, but still is recommended to add a subwoofer for frequencies below the 50Hz range. With both self-amplified monitors, you get a total power of 70W. The set also counts with room and High TRIM response controls for you to maneuver. Cool style and color selection. Excellent quality for the given price. Respects low and high frequencies the most. Self-amplified with really decent power. Doesn’t include cables other than the power cord. A bit sensitive to the noise interference from other devices (TV and PC screens). It’s overall an awesome set for you to mix and record your music, offers high power and quality while respecting perfectly the mid-range sounds and offering a low and high-sound output that works above the average. Especially meant for recording, this set of studio monitors offer an incredible performance for high frequencies thanks to the extended capacity of their 1” soft-dome tweeter. About its design, they come in with and yellow or black and yellow options that jump to the eyes and rounded up corners to reduce the wave’s impact. These come with low and high-frequency controls which exceed in the voice managing and ensure that you get the best output possible deepening on the room. Their lightweight glass-aramid woofers offer mid-range and bass quality while the AB type amps give you a total of 50W power output. On the other hand, these will necessarily be accompanied with a subwoofer set to improve the bass sounds quality. Voicing control to adapt to room’s acoustic. Requires a dedicated audio interface to reduce white noise upon the 30db or more volume. For some music styles, it finds hard to get a proper low-end (Get a subwoofer for this). They are overall a good set with a nice price/quality output. They count with nice features and controls, perfect for recording mid to high ranged tracks as they do reduce the noise in those levels. Imagine that you have the best set of equipment in the world, and the most awesome Dj controller but if all that equipment does not translate into a good sound output, and you are not able to get all the sound quality that you need. Not only will you be wasting money, but you will be unable to make critical decisions based on how your material actually sounds. If your recording is charged with low keys but your monitors do not play bass frequencies correctly, you can imagine that your mixes will hardly work out. Or, at the very least, they will require painful learning by collating in different systems until you learn how your listeners actually sound. Don’t judge this device by size, more size does not mean higher quality. The size of the speaker will have an impact on the sound but it will not necessarily improve its quality. You have to take into account the size of the room and your position when choosing the size of your monitors. Normally, monitors with the cone’s size between 5 and 8 inches will be more than enough. For a small room 5-inch monitors are perfect, and for a large room with 8-inch monitors will cover the space well. Most monitors that you can find in the market have two tracks. This does not mean that they will offer less response when it comes to mid or low frequencies. They are designed to offer good and flat output on all frequencies keeping the response as close to the original sound as possible. About the shape, some experts pay a lot of attention to the shape of the box in which the speakers are mounted. There are those who argue that the edges of a purely rectangular design can affect the frequency content of what the speaker reproduces and therefore recommend monitors designed with softened by beveled and rounded contours edges. Anyhow, the only way to know if you will notice a different result among their sound is by testing both types by yourself before you make a choice. 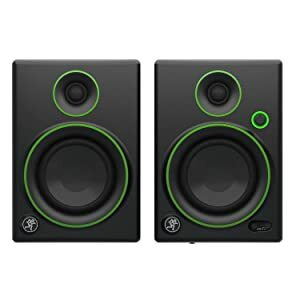 Finding a good set of studio monitors is not as harsh as you may think, the price range for a really good set varies from anything between the 200$ and 500$ and there are plenty of awesome options below the 200$ budget. Active monitors will need electricity to work, and sometimes you will find some electrical noise in the sound output. This is probably because you have them plugged into a power strip with other devices. So, as long as you can, dedicate a VIP string to your monitors to avoid this. The cords are something really important, there are balanced cords that are specifically made for monitors and will avoid electrical noise from appearing. If you are changing anything in the plugs and connections of your monitor, ALWAYS TURN THEM OFF, sounds silly, but if you don’t they can suffer damage. The frequency of response that your monitor may have will vary. As a principle, you will prefer a plain response monitor for mixing since the result will sound more precise to the original than with other options. Consider adding subwoofers to improve the quality of your bass sounds, most monitors will have a hard time reproducing frequencies below the 40Hz. The position is important for your monitor to excel, the monitors must form an equilateral triangle with the listening point and the monitor’s tweeters should be at the height of the ears. 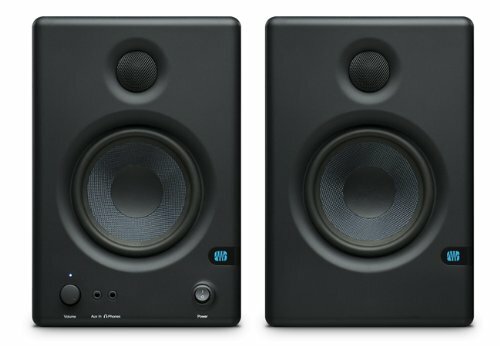 What is The Best Studio Monitors Under 200? The best set of studio monitors do not depend on a rich guys pocket, as you can see here we found some awesome pieces that can take your studio to a competitive level or help you start your DJ career while respecting your budget. The important thing is to get as much quality as possible for all frequencies, or at least for the ones that matter the most to the styles that you are going to work with. For that, our indisputable winner is the Yamaha HS5, even when it is oriented towards the bass sound it has a respectable 35Khz limit for higher frequencies and works of with almost every style of music. This set also offers a better power than most of the others while keeping an almost noise-free output. With the right cables and cords and a good subwoofer, the Yamaha HS5 is a set that can satisfy your needs for a really long time. 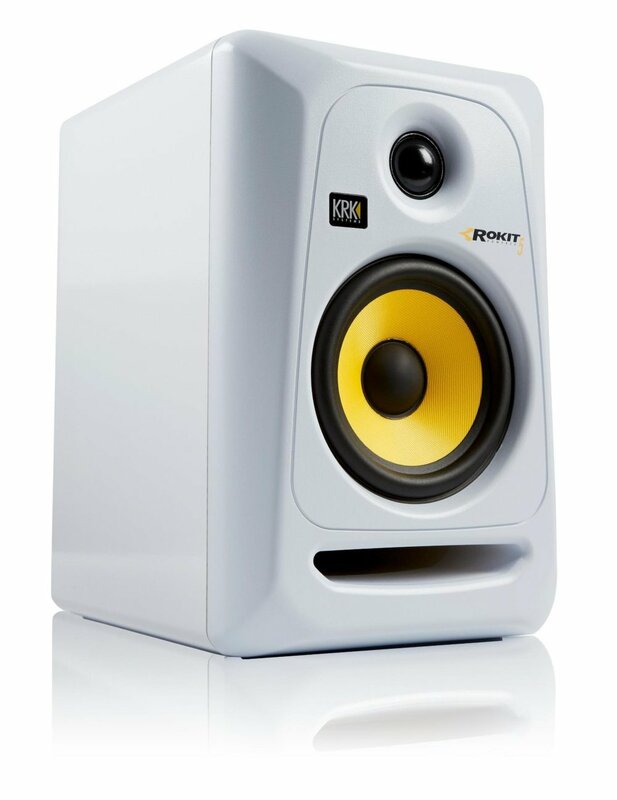 Now that you know what the best studio monitors under 200, share this information with your friends. We hope you enjoyed the reading and keep making some good music.